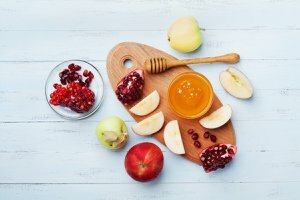 Going on a trip, whether for the weekend, a week, or even a month, is one of the best ways to relax and unwind from work, chores, and other home life obligations. Make the most of the few vacation days you have, and avoid tourist trap destinations like New York City or Lost Angeles. For the best of America, think small. Across the country, you'll find plenty of adventure, as well as relaxing beaches, lesser-known islands, and tucked away villages where you can avoid the tourist crowds and enjoy the small town life. 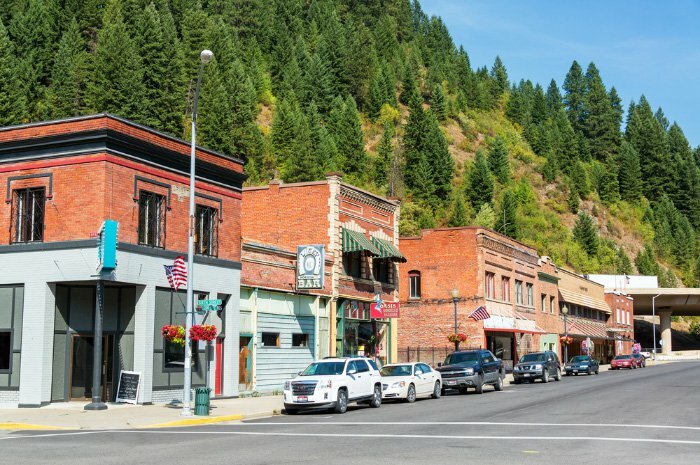 Whether you're looking for an exhilirating adventure or simply some quiet time away from home, these 50 small towns are definitely the most underrated in America. "Perdido" means lost in Spanish. 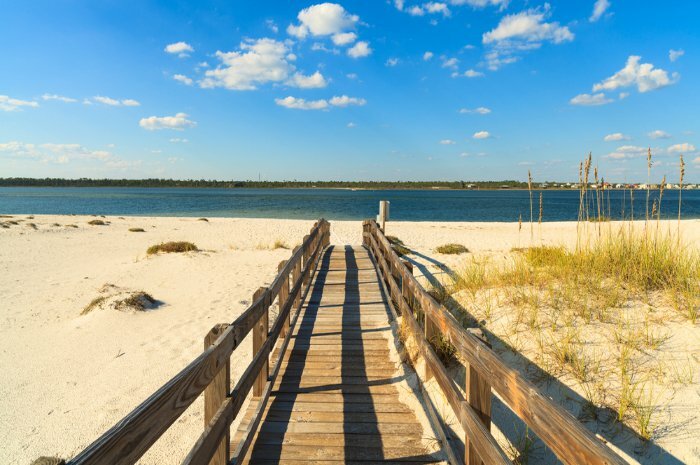 The aptly named community in Escambia County, near Pensacola, is a one of Florida's hidden gems. Everything you love about the state in general - nice weather, pristine beaches and water, wildlife preserve, unspoiled parks, etc. 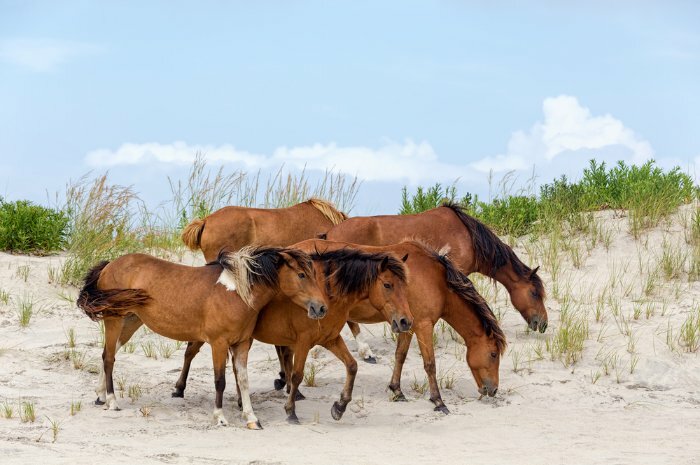 - you will find in Perdido Key, minus the crowds. People have a laid-back attitude, traffic is minimal and everything is just a short drive away. 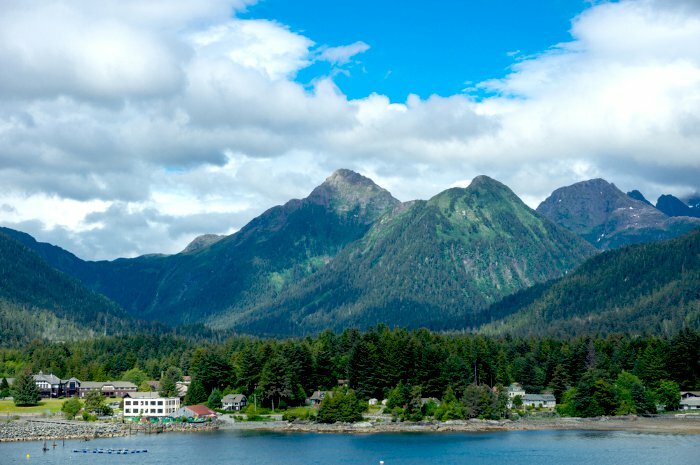 Sitka is considered Alaska's most beautiful seaside town with its views of island-studded waters and stately spruce forests reaching to the water's edge. The area was home to the Tlingit Indians long before Russians or Americans walked on the rocky shores. Visit the Fortress of the Bear, go whale-watching or explore Alaska's oldest national park, site of a battle between Tlingit and Russian forces in 1804. The 113-acre park includes the scenic Totem Trail. 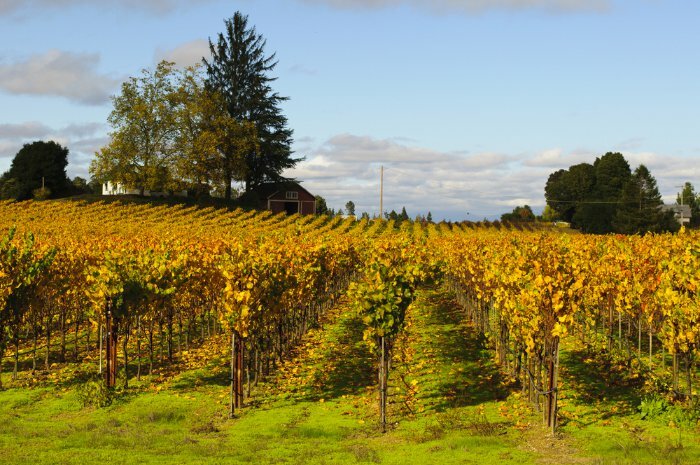 This wonderful and charming small town is surrounded by apple orchards and vineyards, and is only 15 miles from both the Pacific Ocean and the Russian River. Explore The Barlow, a 220,000-square-foot culinary and arts center. The nearby Laguna de Santa Rosa is the largest freshwater wetlands complex in Northern California. It's a gorgeous mosaic of creeks, open water and riparian forests. 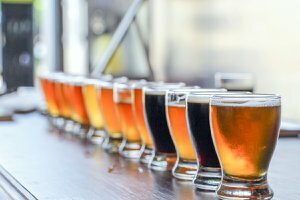 Skiing, biking, rafting, delicious food and good beer - you name it, Durango has it. Days are filled with adrenaline-pumping adventures such as zip lining, and the town is a top destination for train enthusiasts. With over 300 days of sunshine, the San Juan range is amazing to visit all year round. 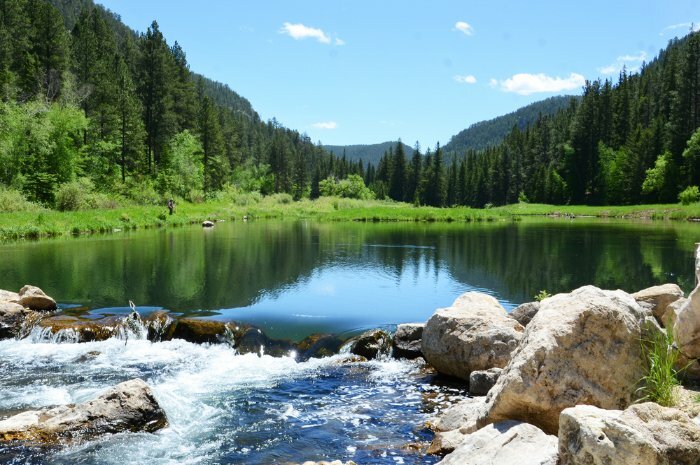 For a different experience, spend a week at a ranch and go horseback riding or fly fishing. This is heaven for college students - there are 49 colleges within 50 miles of Amherst Center. 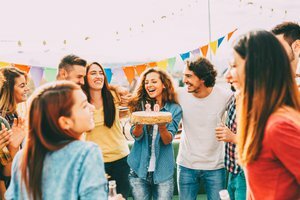 There are many can't-miss things to do, ranging from attending special events to getting involved in the arts. You get to live like a busy college student every day (minus the grueling studying). This is one of the most romantic cities in the state of Arizona. Couples go there for an inspiration of for relaxation. It's just 90 miles from Tucson and nestled among the Mule Mountains. 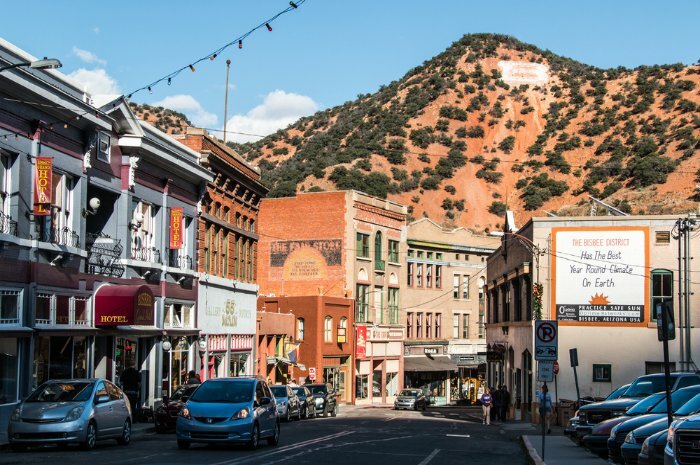 Bisbee is the picturesque county seat of historic Cochise County, according to Discover Bisbee. Hikers, wine-tasters and music fans also visit often. 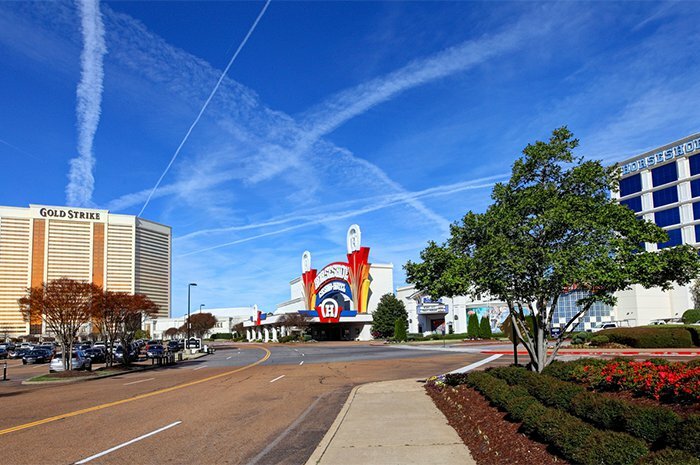 Tunica has several casinos, making it a typical gaming city. They don't just offer slot machines and poker tables. They also schedule a lot of concerts and fun events like horse shows, sporting, stage bars and festivals. Tunica is popular for its golf courses, as well as blues clubs. This town in the Blue Ridge Mountains is the gateway to the Mount Rogers National Recreation Area. Damascus is a hiking paradise, especially if you love to explore the wilderness. 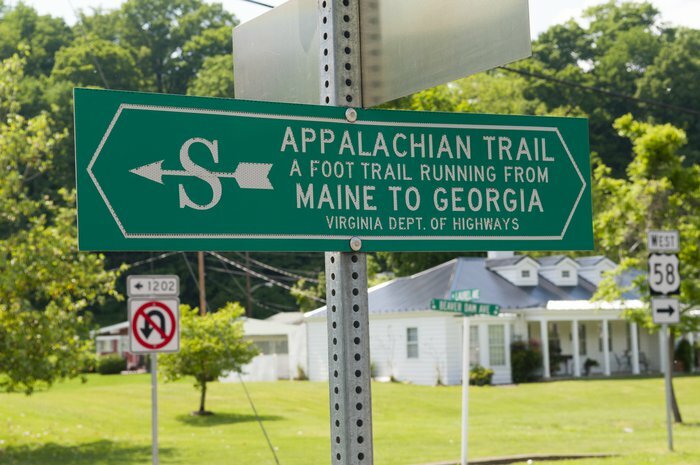 It lies not far from other popular hiking, horse and biking areas and is traversed by dozens of iconic trails including the Appalachian Trail, the Trans-America National Bicycle Trail, the Iron Mountain Trail and the Virginia's Birding and Wildlife Trail. 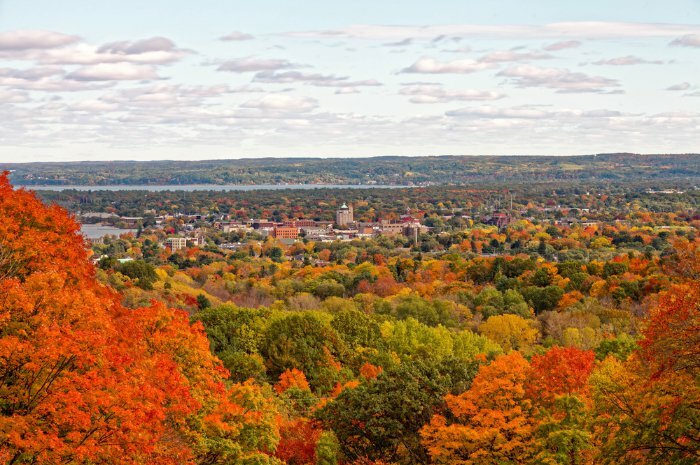 Traverse City, which often makes the lists of best beach towns in America, is known for its outdoor recreation every season of the year. The Sleeping Bear Dunes National Lakeshore, a magnificent mix of water, sky and towering sand dunes on the Lake Michigan shoreline, is a famous attraction with an abundance of hiking trails. The biking and fishing opportunities are endless. Physically active people will love it in Madison. 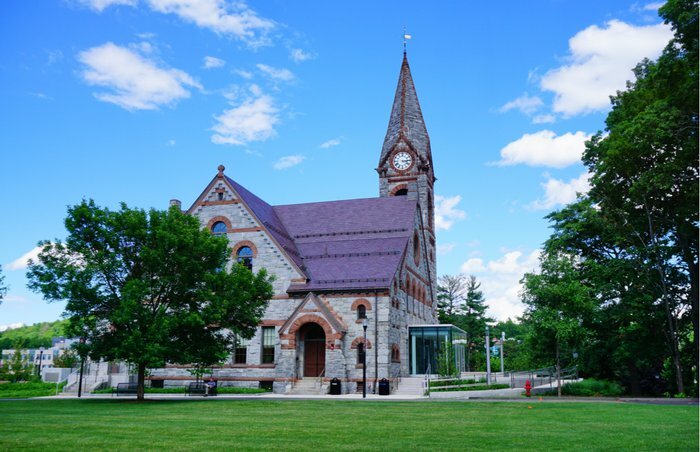 This is one of America's best college towns for cycling. You will also find plenty of dive bars and a thriving scene for hiking, fishing and boating since it's right on the shores of three lakes. 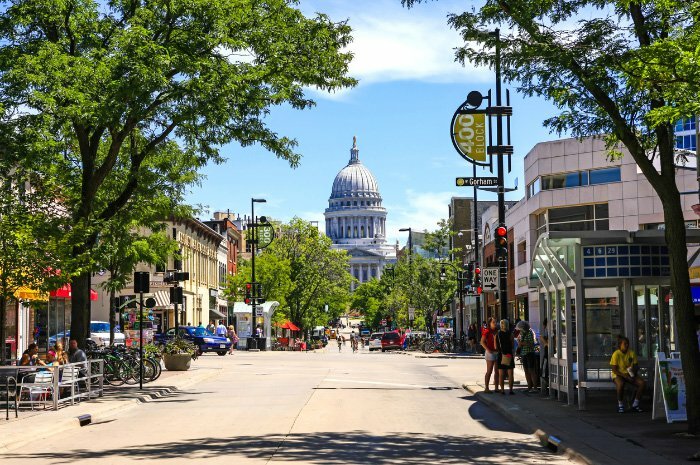 Madison also boasts Big Ten sports, breweries, local organic foods and a revolving door of shows and concerts. 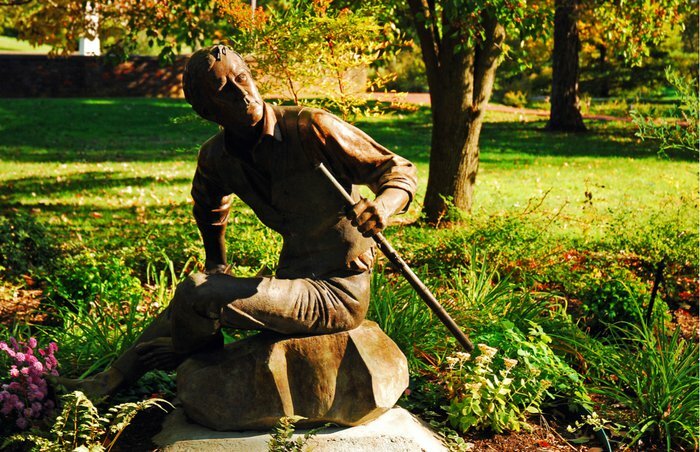 Decatur, a quintessential college town, is just 4 square miles and has 18,000 residents. 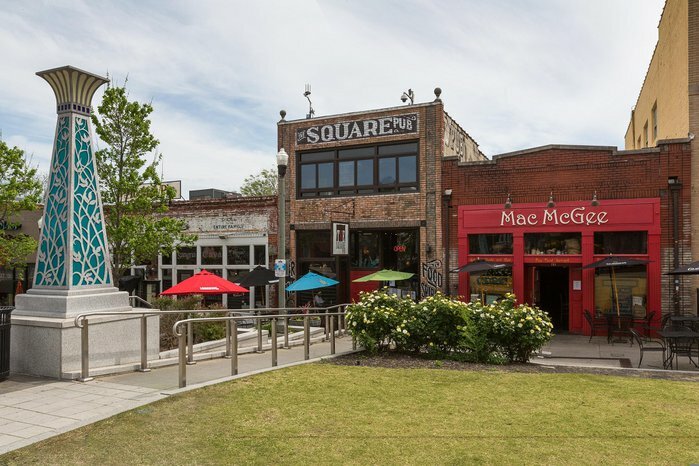 There are more than 200 mostly independent shops, restaurants, galleries and salons and a walkable, tree-shaded downtown. This is a place for foodies, fashionistas and fun lovers. Decatur's Lincoln Square Theater is also notably one of the most haunted places in the country. One of the most bike-friendly places in the country, Boise is a great place for an active adventure. The fact that other cities are at least 5-6 hours away has forced locals to build whatever they need - such as theaters and even a symphony - in their own city. 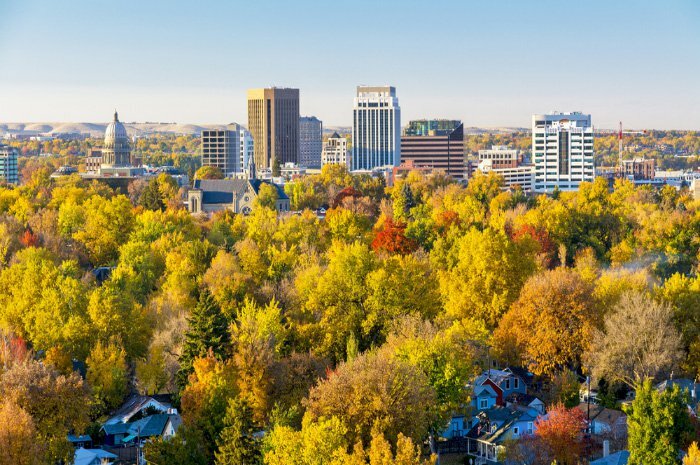 Sitting at the intersection of desert and mountains only adds to Boise's allure. This is a destination on the rise. People describe it as beautiful, clean and very peaceful. 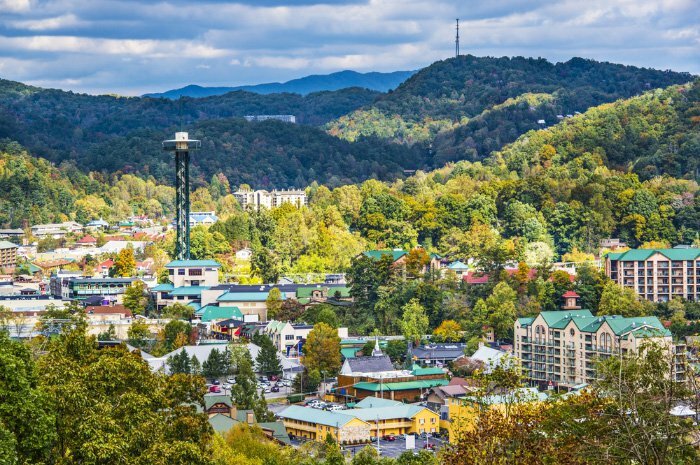 Gatlinburg offers access to the Great Smoky Mountains and lots of good places to eat delicious southern food. Cycling in the Smokies, zip lining and mountain golf are some of tourists' favorite activities. Visit nearby Dollywood to ride the world's fastest wooden roller coaster, Lightning Rod. Known as Missouri's first European settlement, Ste. 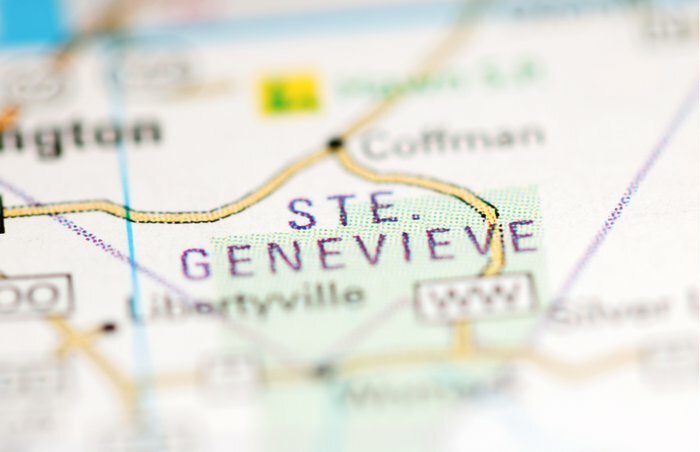 Genevieve is where creative souls go for inspiration, couples go for a romantic getaway, nature lovers go to explore the wilderness, and history buffs come to see the many historic attractions. Much of historic Ste. Genevieve's charm and ambiance is due to the remarkable preservation of its original vertical log structures. 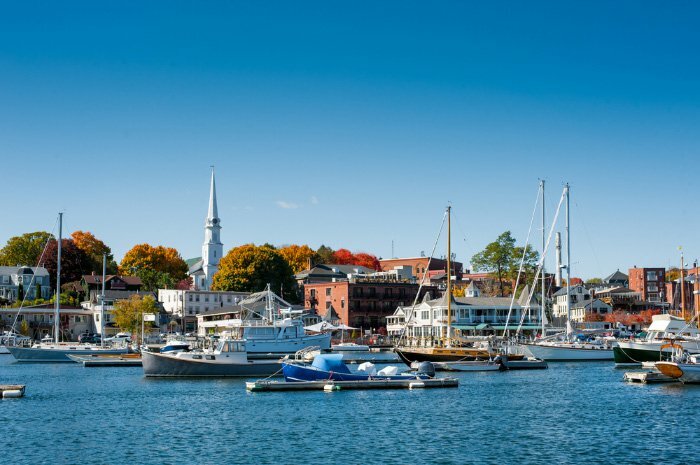 Camden is a classic seaside town at the foot of Camden Hills. Its slogan is "Where the Mountains Meet the Sea," and it is considered by many visitors to be one of the most beautiful places in New England. It has a small town sensibility with friendly people, gorgeous views, preserved buildings and historic structures. 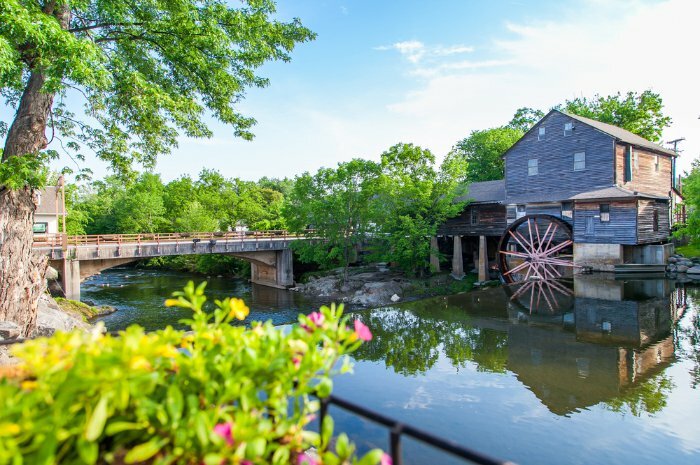 Camden and its surroundings are perfect for hiking, mountain biking, sailing and paddle boarding. This is a quick, convenient getaway that is really different from many other quick, convenient getaways. The experience isn't just in getting there, and the scenery is unique. 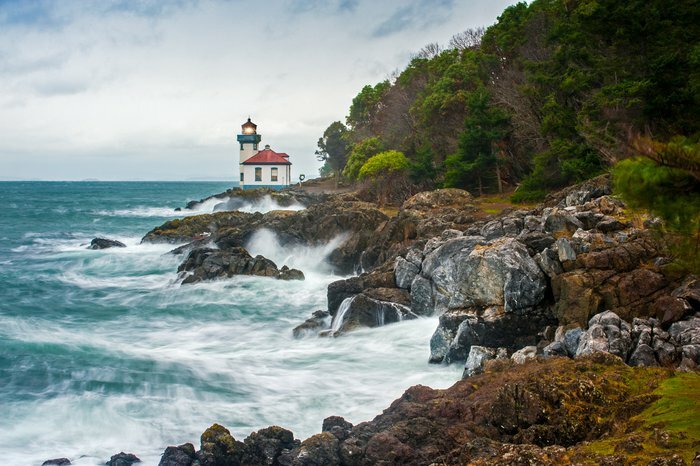 The city is less than 2 hours from Seattle, and visitors who follow the "urban" route to get there will find spas, salons, wining and dining, galleries, antiques and performing arts along the way; the more adventurous route offers fly fishing, rafting, biking and hiking along dozens of trails. The oldest city in the U.S. is tied with a few other cities on the list of best beach towns in the country for having the most nightlife establishments and restaurants per capita. 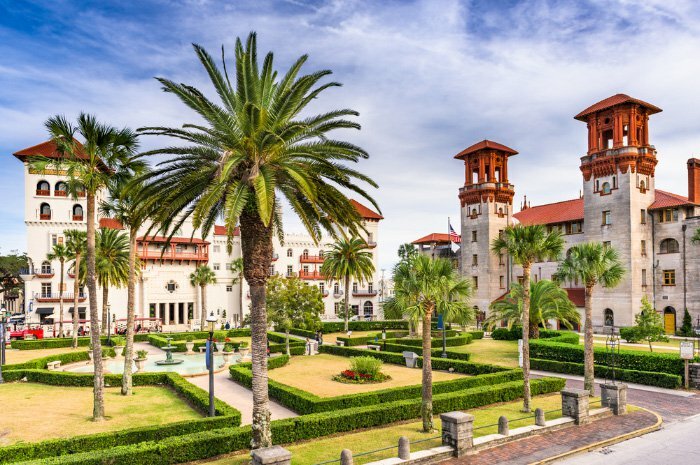 The city, which has a quaint feel but big appeal, offers historic sights, family fun adventures and venues, awesome on-the-water experiences and unique scenery. 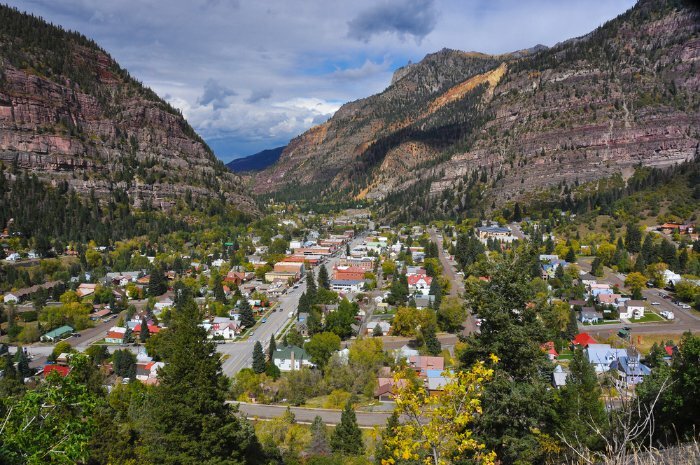 Wallace is the world's largest silver producer - making it the richest mining town still in existence, and every building in the downtown is listed on the National Register of Historic Places. Explore the more than 1,000 miles of mining, logging and Forest Service roads that have been turned into the world's largest mountain bike, ATV and snowmobile trail system. Go on underground mine tours, and visit the mine museums after hiking in lush green forests. 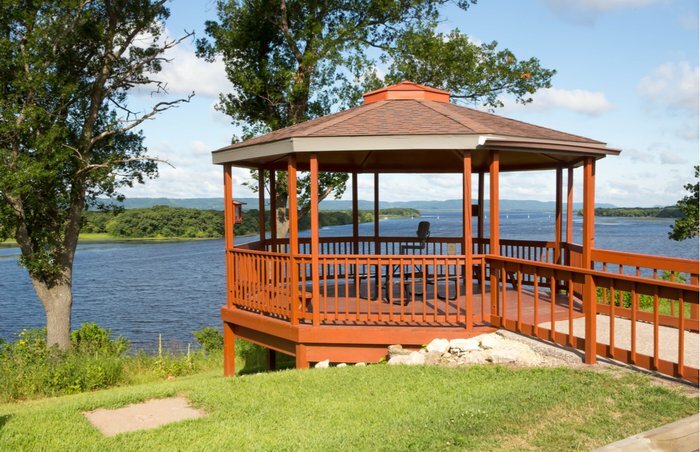 This lively city on the eastern shoreline of Lake Champlain has a lot to offer. The outdoors is what truly draws people in. From mountain biking in the nearby Green Mountains to kayaking and boating on the lake, it's easy to enjoy your favorite outdoor sports. The bustling nightlife is tough to beat. 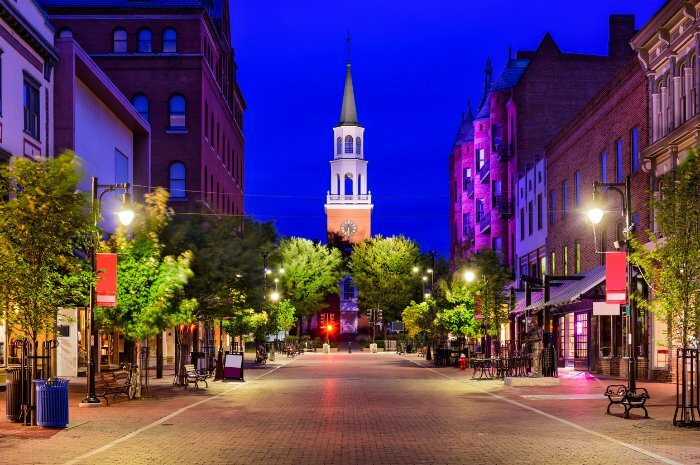 Burlington is most accessible from Albany or Boston. Couples go to Pigeon Forge for a nice and cozy vacation. The cabin rentals are especially popular with vacationers. There are over 40 attractions, with favorites like Ripley's Aquarium of the Smokies, waterparks, WonderWorks, mini-golf, go-karts and outdoor activities in the area like rafting, zip lining or hiking the Smokies. 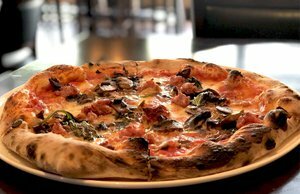 Even though it's located in a small and artsy chic town along the state's amazing coastal highway, it maintains its old-fashioned vibe. The main beach also has a laid-back atmosphere, which you may not expect from a beach in California. 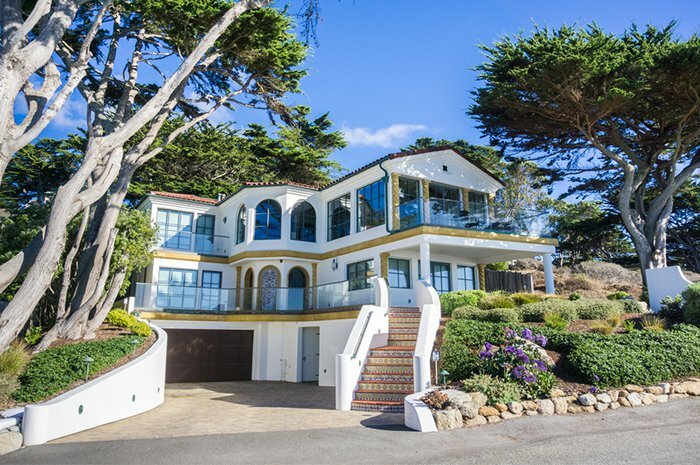 Carmel-by-the-Sea is a stunning, European-style town snuggled above a scenic white-sand beach where everything is within walking distance. 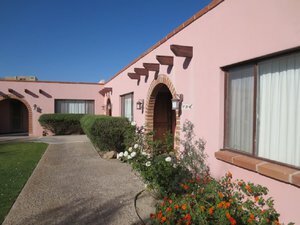 The rich history of Los Alamos will astonish you. 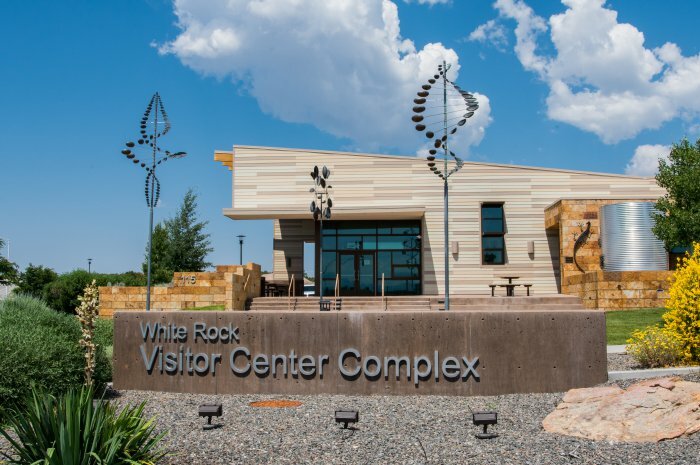 Take the historic walking tour and see ancestral pueblo dwellings, a homesteader's cabin and the very spot where the first atomic bomb components were assembled. 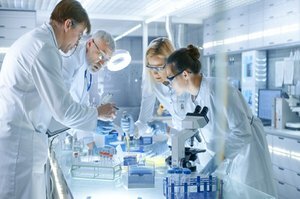 Major attractions include the Manhattan Project National Historic Park, Bandelier National Monument and the Bradbury Science Museum. The scenic views from Anderson Overlook Park will take your breath away. 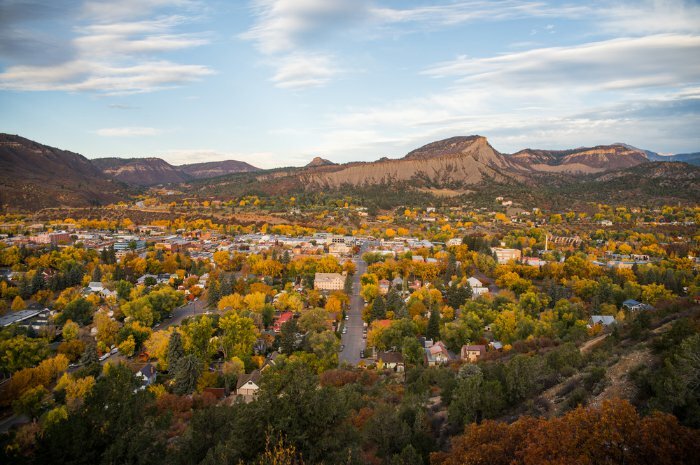 This small adventure town and "recreational boomtown," as National Geographic calls it, is perfect for a weekend getaway. Why not make it your permanent home? Everyday activities can include kayaking off Celestial Falls, seeing jaw-dropping scenery, and mountain biking. 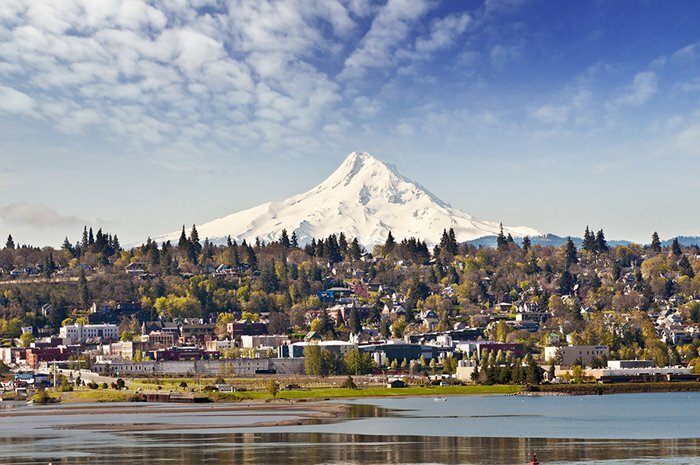 You won't miss the big city at all; Hood River is just about an hour away from Portland. 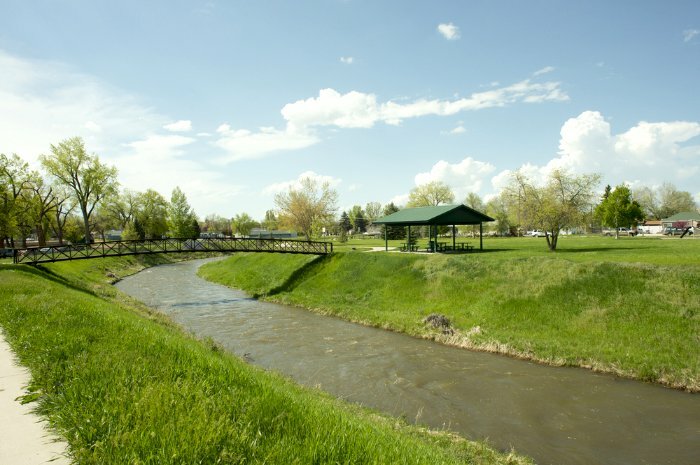 This modern but small town is perfectly situated between Denver and Boulder, two popular cities from which you may want to escape sometimes. Louisville is a successful example of how Colorado is blending the old and the new. Go in the summer for a range of outdoor concerts, farmers markets, a state of the art golf course and thrilling cycling opportunities. 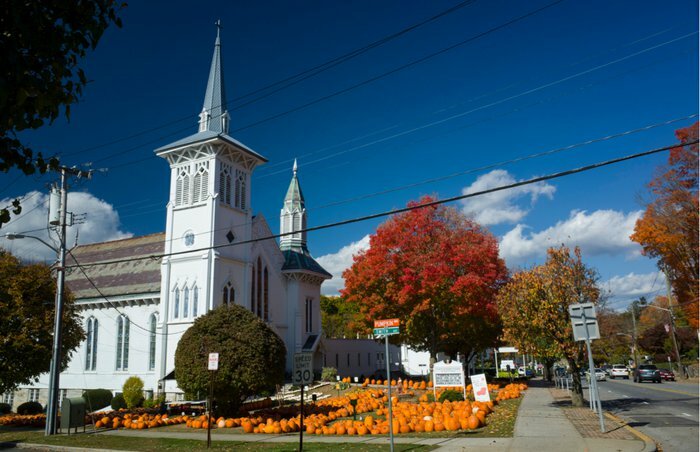 Mount Kisco is one of Westchester County's most lively communities. It's only about 3 square miles, but don't let that fool you. 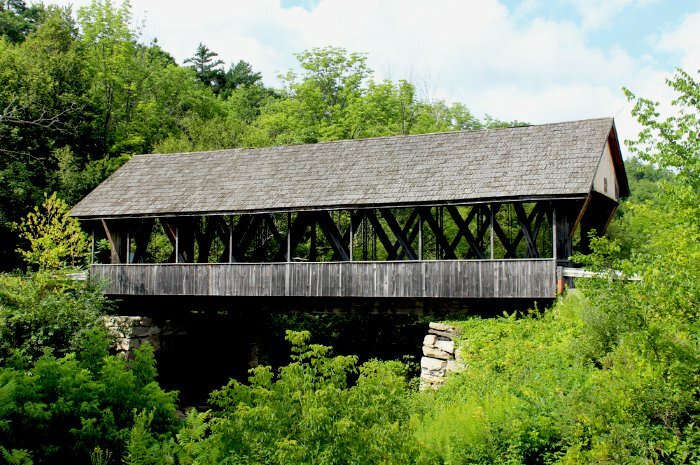 Located 43 miles from New York City, it is easily commutable by train or car. The urban village is known for fine dining, entertainment and award-winning medical care. This gorgeous small town looks like it's coming straight out of a fairytale or a painting. Charming Clinton shows off its antique iron bridge, built in 1870 over the Raritan River. Perched on either side of the bridge are classic grist mills. The landmark 10-acre Red Mill Museum Village is home to the Hunterdon Historical Museum, which has a collection of more than 40,000 historic artifacts. Consider the largely unknown but very charming Beaufort for your romantic holiday. At least visit for the day; it's a quick stop from Savannah or Charleston. Whatever you imagine Southern charm to be, Beaufort has it: antebellum architecture, moss-laden oak trees, parks and Civil War-era homes. 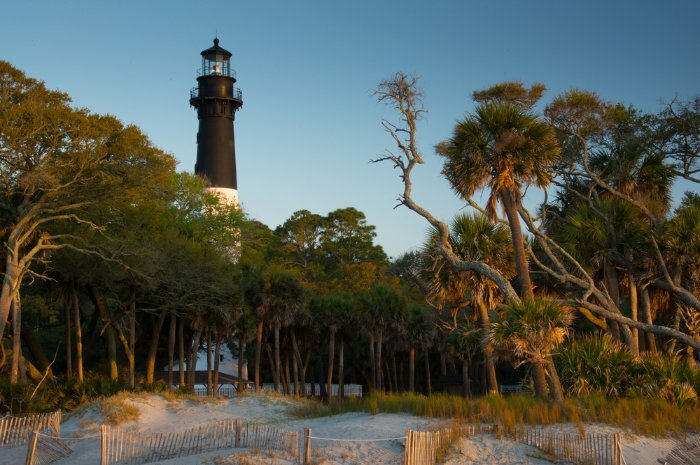 Explore the nearby Hunting Island State Park, its maritime forest, the only publicly accessible lighthouse in the state, and the white-tipped waves of the Atlantic. Lebanon is actually one of the largest cities in the Upper Valley with about 16,500 people. Located along the banks of the Connecticut River, West Lebanon is the area's major shopping district. The area that is now known as West Lebanon was home to the earliest settlers, as it rests along the Connecticut River. Lebanon is always buzzing with activity. 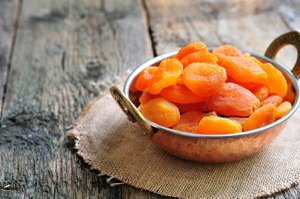 One of the area's most well-known events is the Farmers Market on The Green, which also offers concert series and a lot of family-friendly activities. Visiting Berlin, Maryland, is like traveling back in time. Stroll down Main Street to walk along the path taken by the Assateague and Pocomoke Indians well before the colonial period. Almost 50 individual structures are noted in the National Register of Historic Places and represent nearly two centuries of architectural heritage. This small town of about 2,000 residents is known mostly for its arts scene. If you're looking for a unique lodging experience, stay in a 22-foot-diameter yurt with wood floors. This kind of adventure destination is a combination of the lifestyles of hipsters and nomads who have passed through the region over the years. If you are into American history or patriotic destinations, you will love Carlisle. Take a walk and explore the streets that George Washington once walked on. Carlisle is filled with landmarks and museums where you can learn a lot about the country. There is even an augmented reality walking tour highlighting the town's role in the Civil War. Fisherman will fall in love with Onalaska. The town offers direct access to Lake Onalaska, a huge man-made reservoir that has often been called the "sunfish capital of the world." The best time to go for the best chances to catch different kinds of fish is in the spring. Alexandria is among the top vacation destinations in the entire state. You'll be spending your time in the lakes and having a blast. 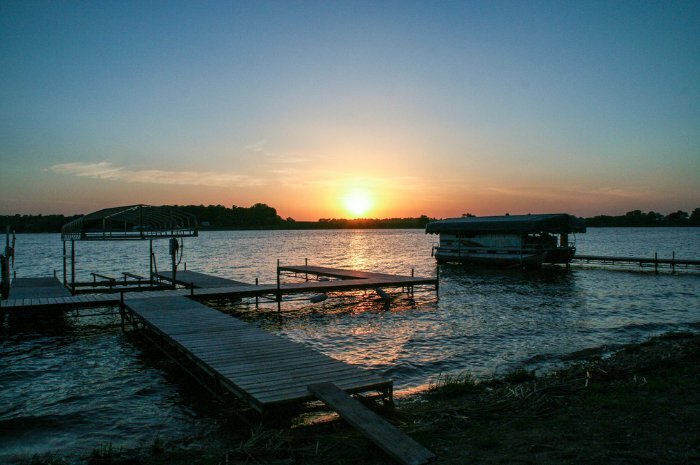 Supreme lakes, great fishing, top-notch golf, history and arts and, of course, boutique shopping are just some of the possibilities to enjoy yourself. 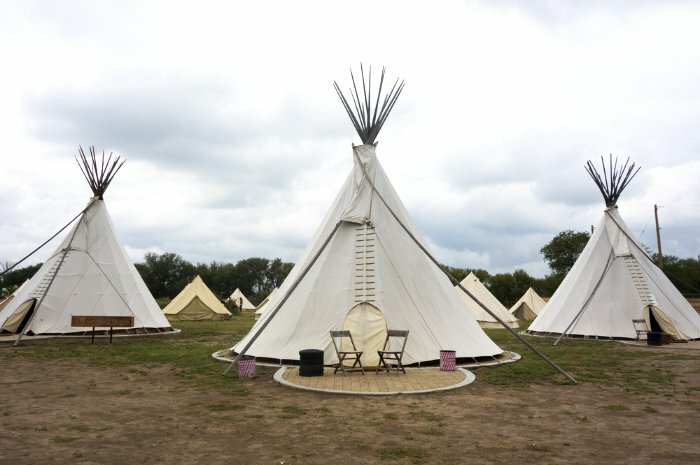 You can stay at nice resorts, charming B&Bs, a family campground or a unique retreat lodge. Adventure is everywhere in this small town surrounded by unrivaled natural beauty. Hike the Big Hill Trails or explore the Bear Butte State Park. (The Bear Mountain is sacred to many American Indian tribes.) Sign up for bike races or just trek to the majestic Bridal Veil Falls - whatever you choose to do, your stay in Spearfish will surely be memorable. People who like to vacation on the Gulf Coast will absolutely fall in love with this picturesque small town. The antebellum homes, streets, live oaks and walkable downtown will make you want to move there, too. 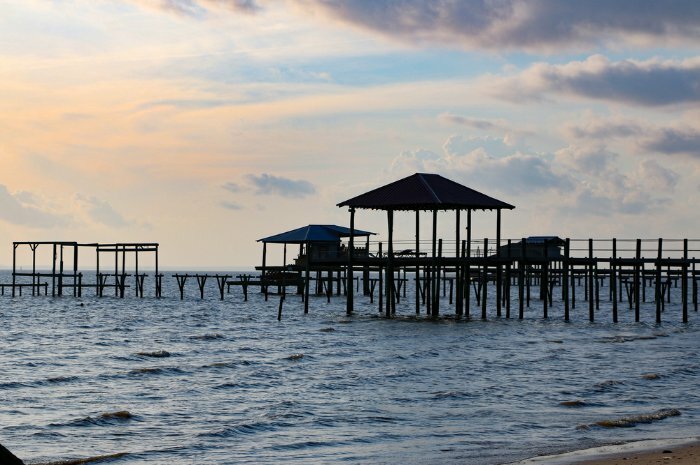 Sitting on bluffs that overlook Mobile Bay, Fairhope always has a stunning view of the water. The relaxed vibe only adds to its romantic allure. Visit the boutiques and art galleries, and eat at the many excellent seafood restaurants. Some call it "Wyoming's Jewel." It's easy to see why. The town has legendary history and Old West charm, and the stunning mountain views are awe-inspiring. Just a walk along Main Street will take your breath away as you gaze off toward the magnificent Bighorn Mountains in the distance. This is the Outdoor Recreational Capital of Colorado, nestled among some of the most rugged and towering peaks of the Rockies. It's an ideal adventure spot every season of the year. Go hiking or biking along any section of the Dallas Trail system. You'll pass through Telluride, and side trips can take you to the famous scenery of Blaine Basin and Blue Lakes. Relax in hot springs, go on an amazing road trip and drive the San Juan Highway, and go river tubing on the Uncompahgre River in the fall. Homer is a place for couples who love nature and spending time outside, particularly in the fall. Common sights include moose and black bears crossing the road or porpoises playing in the surf. 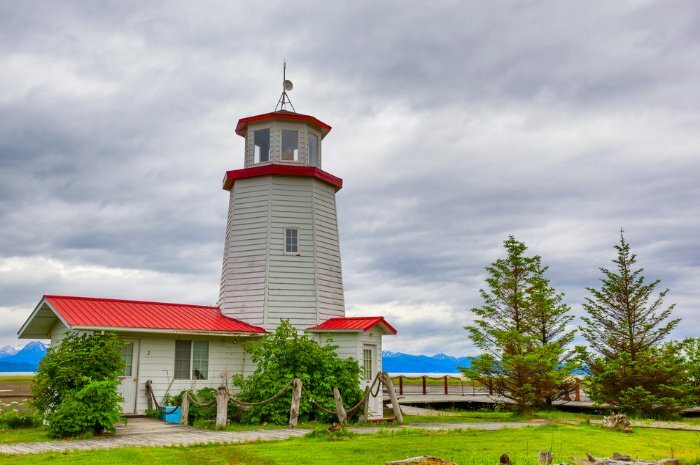 The stunning seaside city overlooks Kachemak Bay and the Kenai Mountains. Start here and go glacier skiing or sign up for guided kayak tours. Make time to see the Halibut Cove, an artists' enclave where the roads are made of water. 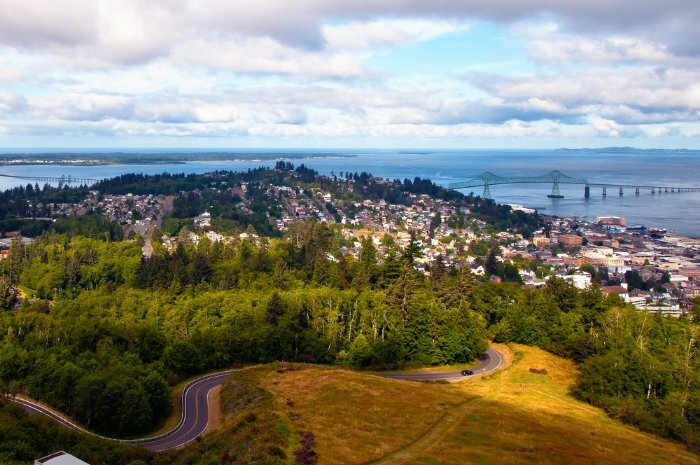 Historic Astoria is home to stunning views, beautiful beaches and a variety of museums. The gorgeous Ecola State Park is not far away. Explore Indian beach, a little-known beach popular among beachgoers and surfers, famous for its tide pools and gorgeous scenery. Visitors will enjoy views of spectacular rock formations off Ecola Point to the south. 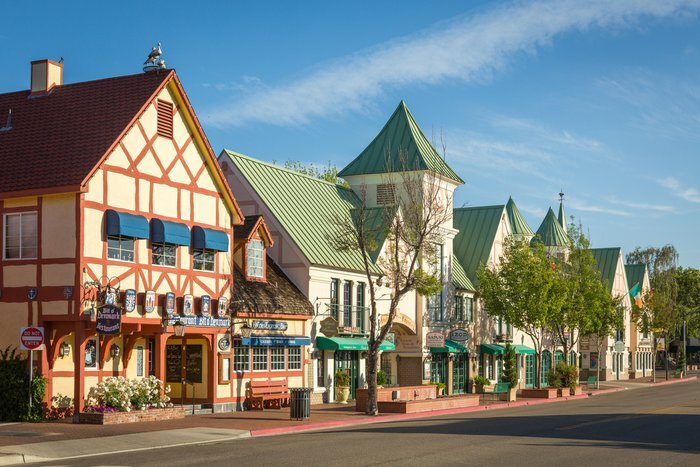 The perfect California destination for travelers who aren't interested in anything related to Disney or the beach, Solvang was founded in 1911 by Danish immigrants and continues to have a strong Danish feel to it through its many Danish stores, restaurants and bakeries. There is even a replica of the famous Little Mermaid statue in Copenhagen, as well as a smaller-scale version of the city's Round Tower. Classic thatched roofs can be seen on the houses here, and you'll even find horse-drawn carriages in the streets. A gorgeous spot in Hawaii that hasn't yet been overrun by tourists, Hana is located on the southeastern end of Maui. A peaceful and scenic destination, it's still full of adventure. 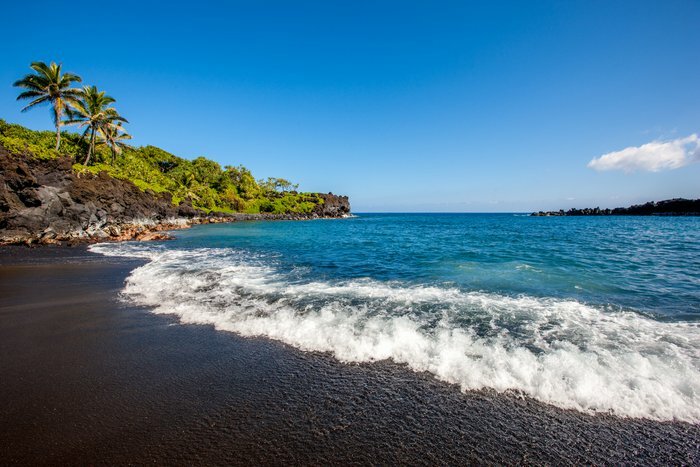 The cliffs of Wai'anapanapa State Park are perfect for hiking, and it's also home to amazing black sand beaches as well as the quietly gorgeous Hamoa Beach. 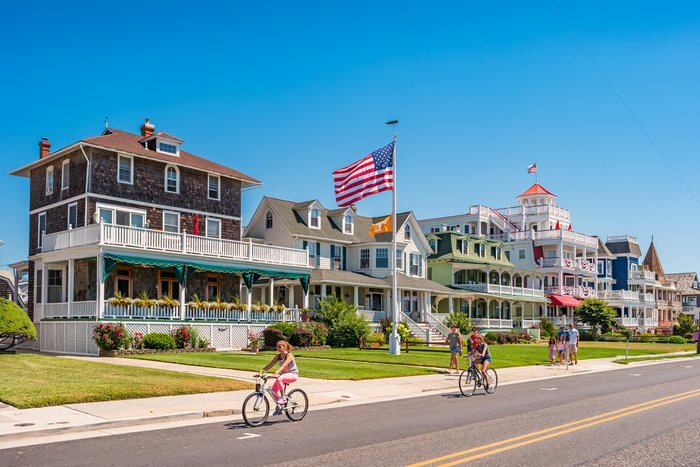 Cape May is the kind of destination every parent should take their kids to, with a fantastic beach and beautifully colorful Victorian architecture. Declared a national landmark in 1976, the coastal town is located on New Jersey's southernmost tip and is a great place to try out various water sports such as jet skiing, parasailing, kayaking and surfing. Climb the 199 steps of Cape May's iconic lighthouse for stunning views of both town and shore, and consider taking one of the many dinner cruises that leave from port. 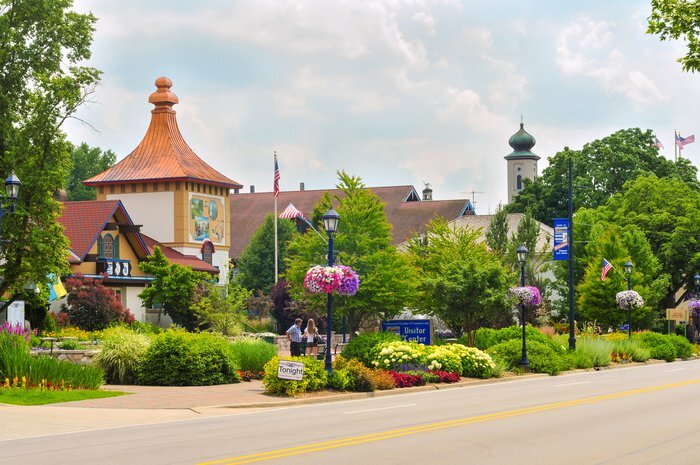 A trip to Frankenmuth will make you feel like you've traveled all the way to Europe, as this former Bavarian mission colony established by Lutherans in 1845 still has an old German feel thanks to its classic German architecture. Known as "Little Bavaria," Frankenmuth is suffused with Bavarian culture, which is particularly evident in the German language visitors can see on local signage and hear spoken by many residents. Named one of the Most Beautiful Small Towns in America by USA Today, Bardstown is the second oldest town in Kentucky and has hundreds of buildings listed on the National Register of Historic Places. Having trademarked the title "Bourbon Capital of the World," it's also been home to whiskey distilleries since 1776 and today serves as the host town for the annual Kentucky Bourbon Festival. A town of just over 2,000 people, Friday Harbor is located on the San Juan Islands, an otherworldly island destination located just off the coast of Washington state. 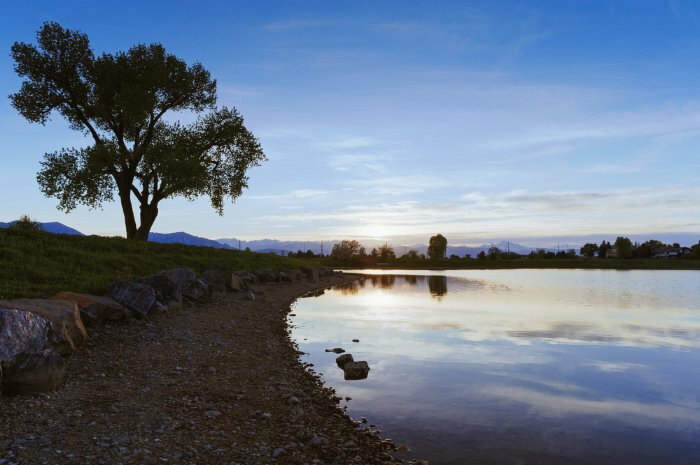 The surrounding waters and mountains provide scenic views typical of the Pacific Northwest, but notably, the water and weather is even more enjoyable here thanks to a Mediterranean climate. 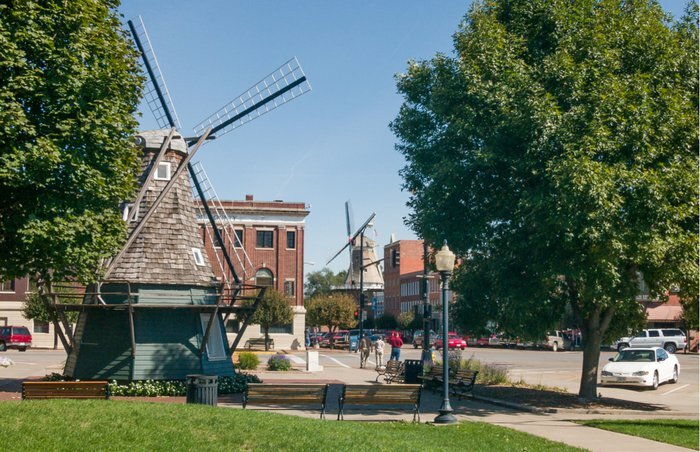 The prettiest town in the state of Iowa, Pella was founded by Dutch immigrants in 1847. Home to Vermeer Hill, the tallest working grain mill in the country, Pella is a pop of bold color in the largely rural state. The best time to come is during the Tulip Town Festival, a three-day spring festival during which Pella's Dutch heritage blooms along with the flowers as the town is filled with Dutch costumes, music, food parades, tulip gardens and more. Chesapeake City has a population of just over 700, and a visit here is like stepping into a history book. 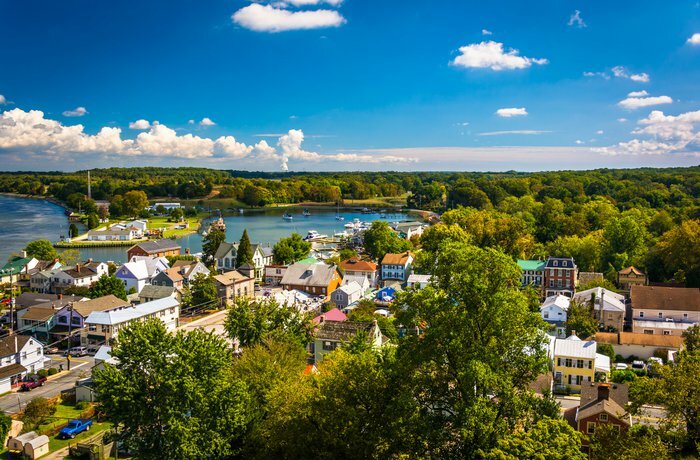 The town is located on the Chesapeake and Delaware Canal, and quite a few of its buildings and homes date back to the 19th century; many of them have since been converted into lodging, restaurants and history museums. 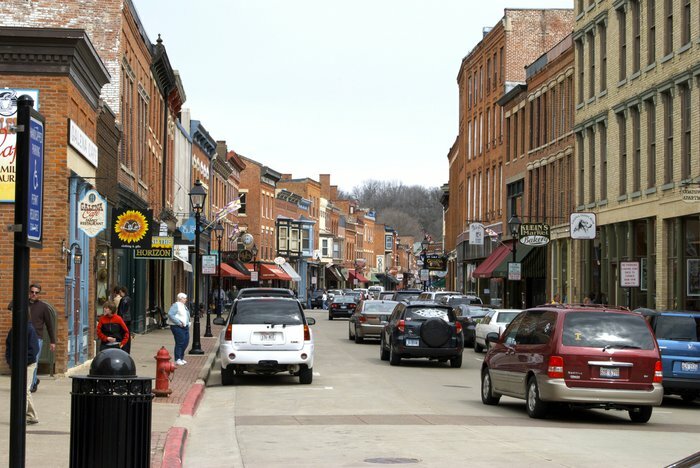 Named after the mineral that was being mined in the area at the time it was established, the town of Galena is a historic and beautiful destination that gains even more charm in the fall. 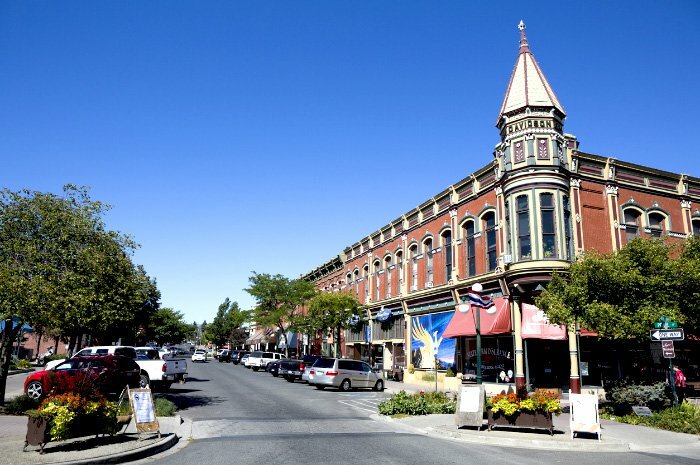 Its historic district is listed on the National Register of Historic Places, and it has a charming Main Street that overlooks the Galena River as well as rolling hills perfect for a nice drive. 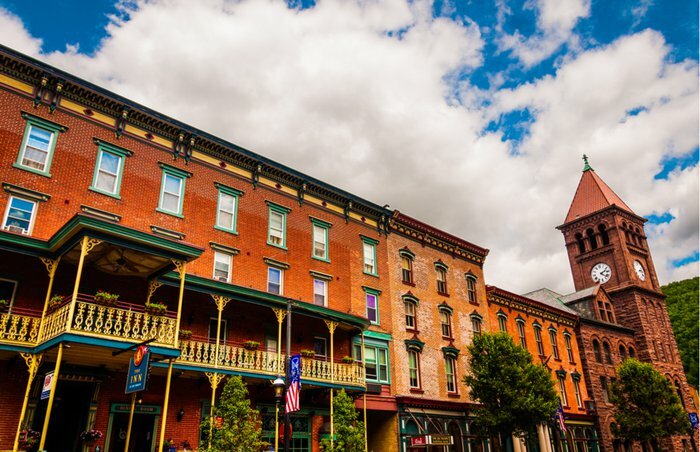 Jim Thorpe is an utterly romantic town, with Victorian architecture and scenery that has earned it the moniker of the "Switzerland of America." 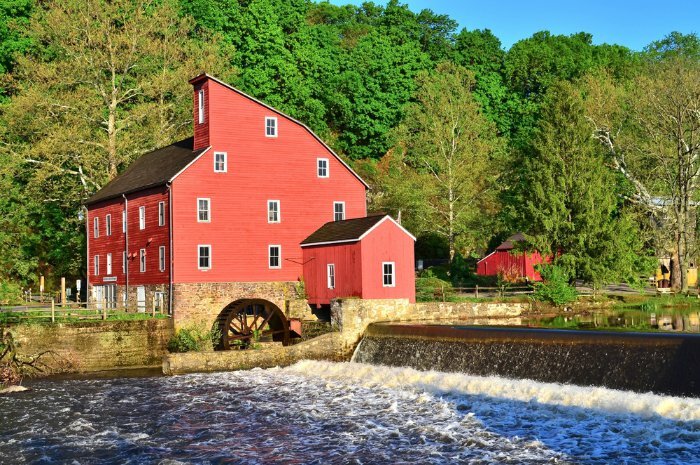 Located in the Lehigh Gorge in eastern Pennsylvania, it's also known as the "Gateway to the Poconos," and it offers a little bit of everything. 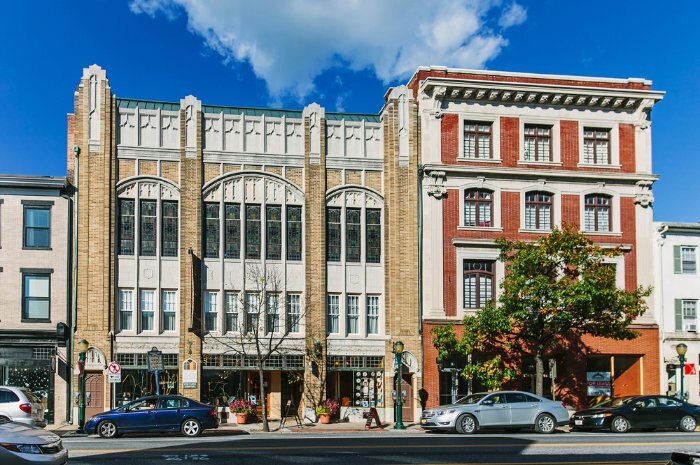 Explore the Pocono Mountains for some adventure or discover live entertainment, stores and restaurants as you stroll through the downtown area of this under-the-radar American gem.